Ambulance Fraud Defense Lawyers – Oberheiden, P.C. Ambulance Fraud Defense: When Does a Medicare Bill Become Fraud? When does someone really need an ambulance? That sounds like a question a doctor should answer. But doctors don’t ride along in EMS units. And in an emergency, there usually isn’t enough time to get a doctor on the scene (let alone obtain a diagnosis)—so, judgment calls must be made. Unfortunately, the federal government is quick to second-guess those judgment calls. More and more often, well-meaning emergency transport providers find themselves accused of ambulance fraud. It’s a serious charge that may carry crippling financial penalties for the providers and – in some cases – the very real threat of a lengthy prison sentence. In many of these cases, government accuses the ambulance company of providing medically unnecessary ambulance services. But even if the services themselves aren’t called into question, the government can still build a case for ambulance fraud on the basis of the ambulance company’s relationships with other health care providers: nursing homes, hospitals, hospices, and so on. If the government can find any evidence of one party receiving a “kickback” from another in connection with Medicare or Medicaid-covered services, it will almost certainly swoop in with an intrusive federal fraud investigation. The parties may then be prosecuted as part of a conspiracy to commit fraud, among other charges. Most reasonable people might view these supposedly “self-dealing” relationships as common-sense business agreements – the kind that companies in other industries enter into all the time. But the Department of Justice and its partner agencies are extremely eager to crack down on as many health care providers as possible… and they have repeatedly and publicly pointed to ambulance companies as one of their top targets. If you work in the emergency medical transportation industry (whether as an owner, manager, marketer, billing coordinator, or EMS professional), the need for a vigorous and proactive ambulance fraud defense has never been more apparent. Oberheiden, P.C. is a team of federal law health care fraud defense attorneys with direct experience in ambulance fraud defense. We know that when the government begins to search for wrongdoing, it will likely find some ostensible evidence of whatever it’s looking for. Innocent people and noble health care organizations fall into jeopardy as a result. If you or your emergency medical transport organization has been accused of defrauding the Centers for Medicare & Medicaid Services (CMS) or any other federal benefits provider, an experienced ambulance fraud defense attorney at Oberheiden, P.C. can help. When Will CMS Pay for Transportation by Ambulance? Medicare Part B coverage, which includes health insurance coverage for recipients, will generally pay for emergency ambulance services. CMS defines an emergency as any situation in which a patient might be in serious danger and cannot be transported safely by other means. 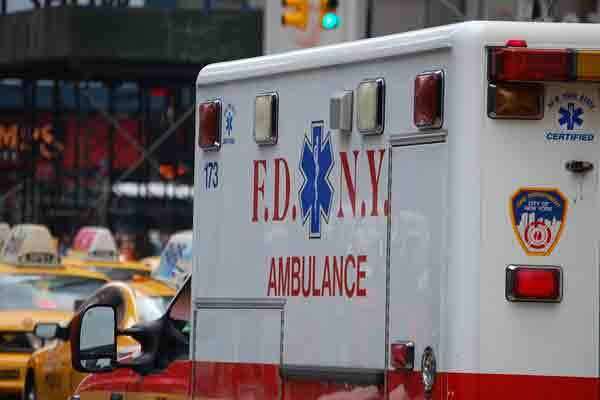 The emergency transportation provider meets all Medicare ambulance requirements. Additional rules apply when the patient lives in a skilled nursing facility and receives a doctor’s order for scheduled and/or unscheduled trips to or from health care services. Ambulance fraud defense often comes down to the question of medical necessity. But federal law enforcement agents are not doctors. Nor, for that matter, are most of the people involved in making emergency transport decisions. Patients do not always know if they are experiencing a medical emergency, and the mere possibility of an emergency means there isn’t time to figure it out before deciding on ambulance transport. Those decisions must be made by the patients and the non-M.D. health care providers who respond at the scene. The question of whether a patient is truly confined to their bed can be just as unclear. What if a patient is technically able to get out of bed, but doing so is ill advised? Likewise, some patients are more “bed-ridden” on some days than others. When federal agents routinely second-guess the decisions of emergency health care providers, they create a “chilling effect,” whereby EMS and other professionals may be reluctant to provide critical care (including ambulance transport) for fear of a fraud charge after the fact. This, in turn, endangers patients and complicates an already challenging decision-making process for the emergency responders who must weigh the threat of a fraud charge against the threat of liability for inaction. Ambulance fraud investigations aren’t always obvious. Your company could be under investigation without your knowledge. The government routinely monitors incoming invoices, looking for patterns or outliers that might suggest deceptive billing or unlawful kickback arrangements. Agents also encourage patients, employees, and business partners to come forward with evidence of potential fraud – even incentivizing qui tam lawsuits by allowing plaintiffs to keep part of the government’s recovery (which can add up to millions of dollars). What is clear is that federal agents are keeping a close and watchful eye on ambulance companies across the country, especially in large cities where Medicaid and Medicare benefit recipients are concentrated most heavily. If you currently own, operate, or work for an ambulance company, we encourage you to remain extremely vigilant. Company owners and executives might consider contacting an experienced ambulance fraud defense attorney for ongoing compliance advice and strategies for avoiding audits or investigations. If you have already been accused of defrauding the government (or a private health care insurance provider), an ambulance fraud law defense attorney at Oberheiden, P.C. can help. The sooner we can get involved, the better. Please contact us right away.